Somewhere in the region of 40,000 to 50,000 commercial vehicles are stolen in the UK every year!! So let’s take time to review how you can take the proper precautions, to reduce the risk of part of your fleet being included in these statistics. Your vehicle is a valuable item, but it may not be the main focus of the thief who wants to gain access to it, quite often the allure is from the equipment that sits inside it. No matter what the reason, a stolen, damaged or vandalised vehicle is going to cost your business in the downtime spent off the road added to potentially having to pay to replace the vehicle and its contents. Did you definitely remember to lock it? It may sound pretty fundamental, but it’s essentially the difference between whether or not you receive an insurance payout should your vehicle be stolen. A big risk for the sake of a click of a button! Similarly with leaving your vehicle running while you make a quick delivery, or leaving the keys in at a petrol station. Breaking habits like these can greatly reduce your exposure to van thieves. If you have a vehicle that is fitted with a double lock or deadlocking system, you have the ability to disable the internal handles by pressing the lock button on the remote twice. By doing this you will prevent thieves breaking in through a window and opening the door from the inside. Many people do not realise that most vehicles’ standard locking systems can be overcome with just a flat bladed screwdriver, but the good news is that they can be easily enhanced by fitting extra security products. Also are you aware that the latches on the top middle and bottom of the back door are all connected by one wire! So if a thief drills a hole into the vehicle and pulls the internal release wire, the doors will open, leaving the contents of the van ready for the taking. There are various anti-drill guards and door handle protectors available to reinforce the metal around this vulnerable point, making it harder for thieves to access the internal release wire and ultimately keep your vehicle and its contents safe. Forgetting to hide or remove any valuable gadgets is easily done when you’re in a rush, but taking an extra 30 seconds to check there’s nothing in sight that might tempt thieves, such as sat nav wires or holders, will save you a lot of money and hassle in the long run. Thieves have been known to use radio frequency jamming equipment to prevent vehicles from locking in busy areas, such as car parks and motorway service stations, then steal the vehicle’s contents once the driver is out of sight. So the fewer valuables you leave in the vehicle the less vulnerable you are to this type of tactic. Added technology such as a GPS tracker will offer a helping hand in giving you the best chance of finding your vehicle if stolen. It’s worth speaking to your fleet supplier to find out if they can provide a telematics solution to further protect your vehicles. If you are unlucky enough to have your vehicle stolen, it’s important to work with your fleet provider to make sure that you are able to get on with business as usual. Can your fleet provider supply immediate replacement vehicles? Security should never be an afterthought, the time, inconvenience and cost implications that are associated with a stolen vehicle are enormous. How much will lost business impact on your business? Equally, what will it cost for a temporary vehicle solution? 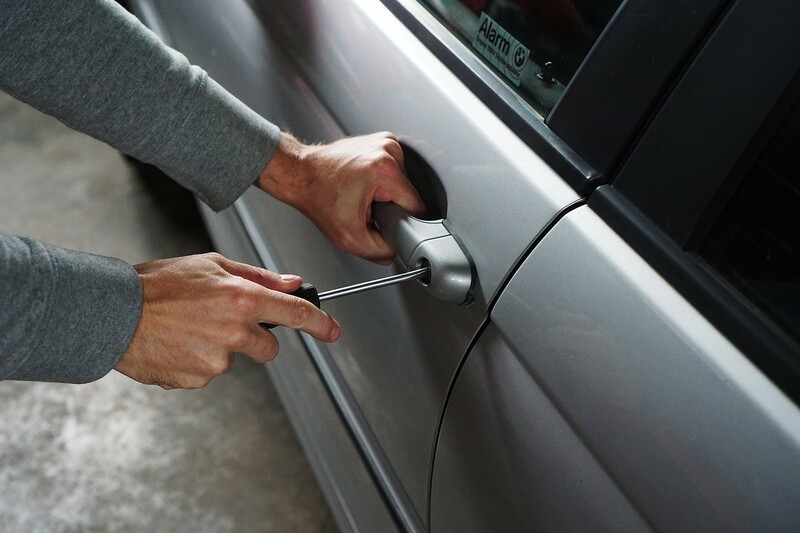 It’s crucial to measure that against how much it will cost to enhance your vehicle security. It will be clear that being prepared for the worst will be more efficient and cost effective in the long run.